Genome-wide association studies suggest that genetic variation within L-type calcium channel subunits confer risk to psychosis. The single nucleotide polymorphism at rs1006737 in CACNA1C has been associated with both schizophrenia and bipolar disorder and with several intermediate phenotypes that may serve as neurobiological antecedents, linking psychosis to genetic aetiology. Amongst others, it has been implicated in alterations in amygdala structure and function. In the present study, we show that the risk allele (A) is associated with increased amygdala volume in healthy individuals (n = 258). This observation reinforces a hypothesis that genetic variation may confer risk to psychosis via alterations in limbic structures. 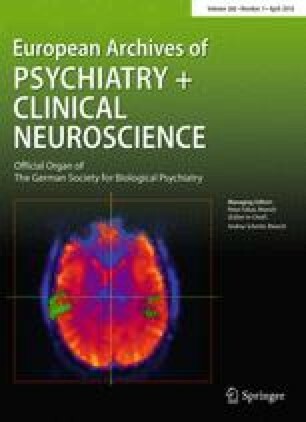 Further study of CACNA1C using intermediate phenotypes for psychosis will determine the mechanisms by which variation in this gene confers risk. This study was supported by the National Centre for Mental Health (NCMH) at Cardiff University, with funds from the National Institute for Social Care and Health Research (NISCHR), Welsh Government, Wales (Grant No. BR09) and by Grant MR/K004360/1 from the Medical Research Council (MRC) and by the MRC Centre for Neuropsychiatric Genetics and Genomics (G0800509). We are grateful to all professionals, patients and volunteers involved with the National Centre for Mental Health (NCMH). None of the authors report any biomedical financial interests or potential conflict of interest that is relevant to the aforementioned manuscript.